Mr. Ho's Orchestrotica is a 22-piece orchestra that plays only Esquivel music. Listen and learn more here! Wood and Tonatiuh combine to tell the story of a musician and composer kids have likely never heard of. At 6, Juan García Esquivel figured out how to disable the paper roll in his family’s player piano, leaving him free to experiment and learn how to play the instrument himself. This spirit of experimentation never left Juan, who went on to become a pioneer in a quirky, innovative style of lounge music popular in the 1950s and ’60s. Esquivel!, as he became known, combined Latin rhythms, jazz, human voices, and unusual instruments in order to create unique musical textures and effects. During his career, Juan became popular in both Mexico and the United States, and he wrote many songs for TV shows and movies. The narrative presents the biographical facts of Juan’s life in an engaging and accessible manner. Young readers who have never before heard of this musician may find their curiosity piqued. However, it is Tonatiuh’s illustrations that truly spark the imagination. Tonatiuh employs his signature style of Mixtec codex–influenced design, combines it with playful tributes to the fashion and style of the 1960s, sprinkles in text blocks of onomatopoeia that seem to vibrate on the page, and fills in the empty areas with a watery mix of purples and blues that perfectly complements the spacey style expressed in the music. Recommended for children ages 6–9, but it makes an informative and fun read aloud for younger kids too…. The illustrations are bright and cheerful—they really complement the story well as the characters are dressed in outfits from the 50’s and 60’s era. I think the kids favorite thing about this book is repeating all the unique musical sounds like: “rah-rah-rah-ree”, “blop-bleep-bleep-blop” and “squiddle diddy squee”!… My favorite thing about this book was learning about someone completely new (and lesser known) from a diverse background. We don’t see too many books about successful Mexicans so this was a real treat for me to read. Esquivel! Space Age Sound Artist (Charlesbridge, 2016), written by Susan Wood and illustrated by Duncan Tonatiuh, captures the story of musician Juan Garcia Esquivel, bringing both his story and music to life on the page. 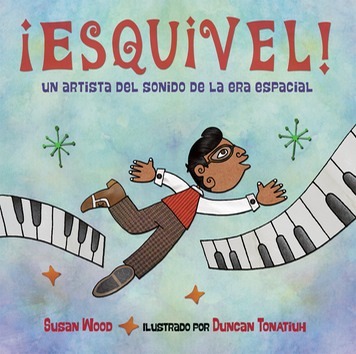 This picture book not only expands a reader’s knowledge of the life and work of Esquivel, it also helps expand ideas of sound and musician are dependent on one another. 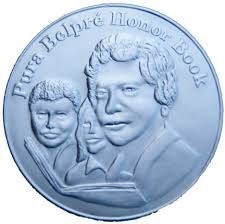 Throughout the book, the reader gets a comprehensive view of the life of Juan Garcia Esquivel, from a small boy in Mexico with a huge musical talent to a star musician composing, performing, and arranging music for concerts, recordings, and films. The scope of the book powerfully and artistically details Esquivel’s arc to success. The reader is able to understand Esquivel’s music in relation to the society and the cultural framework in which he lived as well as within the context of the contemporary music scene at the time. It is both important and relevant for the young reader to learn about the triumphs and the struggles this musician lived through. One of the greatest strengths in the book is explaining how Esquivel was largely self-taught, lacking a formal musical education. Despite this, Esquivel achieved his dreams. The book is a celebration of the man and his music. Esquivel mixed a variety of sounds together like an artist mixes colors for his paintings – an entire palette of colorful sounds! Throughout the book, the reader sees examples of Esquivel’s sounds highlighted across the pages, adeptly explaining and showing his unique style including lounge music, stereo recording, and the mixing of traditional Mexican songs with jazz-like idioms, his orchestra, and with new or “exotic” sounds which all made up his instrumental, wordless musical compositions often called space-age sound. Author Susan Wood’s voice is distinct, strong, and lyrical throughout the book, allowing the reader to fully connect with Esquivel as both a person and musician. The reader is able to imagine what the music sounds like as the biography unfolds because of the strong literary quality of the text. 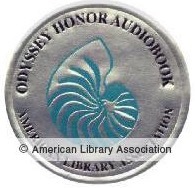 Sound and music equal life to Esquivel, and the book delivers this message solidly throughout, like a clear distinct trumpet blaring or the call of a saxophone melody heard in Esquivel’s music. Duncan Tonatiuh’s stunning illustrations add so much to the text. His style is “inspired by the ancient Mexican art, the Mixtec codex of the 14th and 15th centuries,” as he states in his illustrator’s note, and just as Esquivel used traditional Mexican songs reworked into his own new style, so does Tonatiuh emulate this same concept in his illustration style, mixing the old with the new and thusly connecting young readers to the past through his one-of-a-kind art. Just how far can the power of his sound and music reach? All over the world! Everywhere! Through this book, the reader discovers the true power of music and how Esquivel took on the world with his new style. Space-age sound lives on…forever. Esquivel! Space-Age Sound Artist is a must-read.